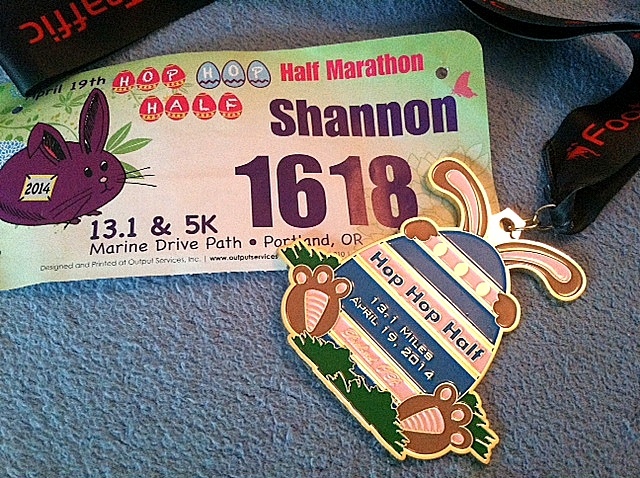 This entry was posted in Fitness, Move, Race, Running and tagged fitness, foot traffic, half marathon, Hop Hop Half Marathon, marathon, move, Newport Marathon, Portland, race recap, run, running, training. I liked the feeling of getting a behind-the-scenes look at the race from your perspective! Thanks for the well wishes! I’m also glad to hear that I’m not the only one that worries about getting the clothing just right! You did great! Toughing it out when you’re not having the best run is never easy, but YOU DID IT!! 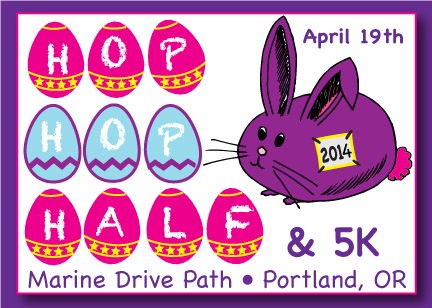 Can I just say that I love the bunny-themed race? So cute! I’m trying to get back into running after almost a year off (yikes!). Thanks for the encouragement! And way to go on the race! Thanks, Allison. And, good luck to you with getting back into running. The bunny is pretty darned cute, isn’t it? Nice Job! I can hardly believe that Newport is now less than four weeks out! And as for wardrobe choices, I always err on the side of staying warm, and am only now learning how that extra layer affects my pace if I get a little too warm… Hope to see you out there on the coast! Hi Shannon, Thinking of you and hoping all is well. Do you have another blog now? Hi! It’s so good to hear from you! Sorry for the disappearing act. I was feeling a bit busy and needed to step back, as the blog was starting to feel like an obligation rather than a source of enjoyment. I do plan on being back with a re-booted site at some point, though. I am well. I just had a fantastic week actually – birthday, third completed marathon, and a week in New York City! Now, it’s back to regular life starting tomorrow. I hope you are well, too. Hopefully you’ve been able to do some nice traveling as well? ?